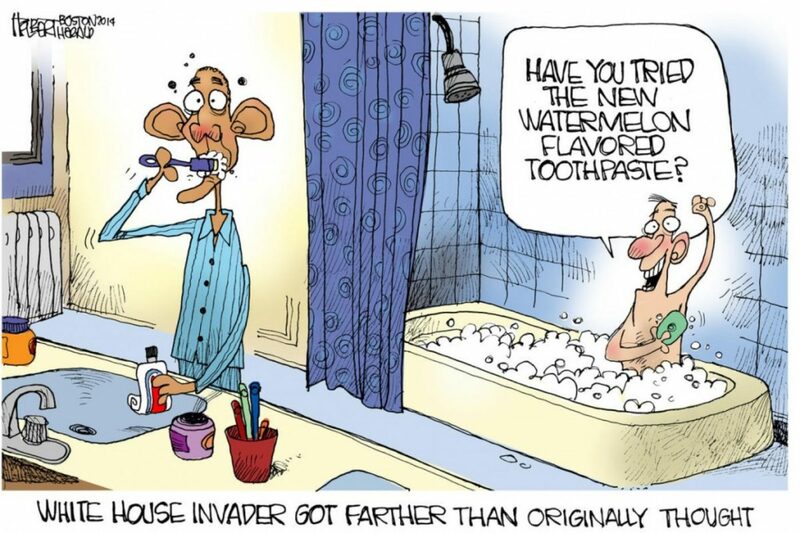 The version of Holbert’s cartoon that was distributed to client newspapers and outlets says instead: “raspberry-flavored toothpaste” — rendering the work about as benign as floss. So what happened, exactly? Clearly someone at the Kansas City-based syndicate had the correct judgment to call up “Rewrite!” for Holbert’s cartoon, which satirizes Secret Service failures involving incidents like that of recent White House intruder Omar Gonzalez. That someone is Reed Jackson, associate editor at Universal Uclick.